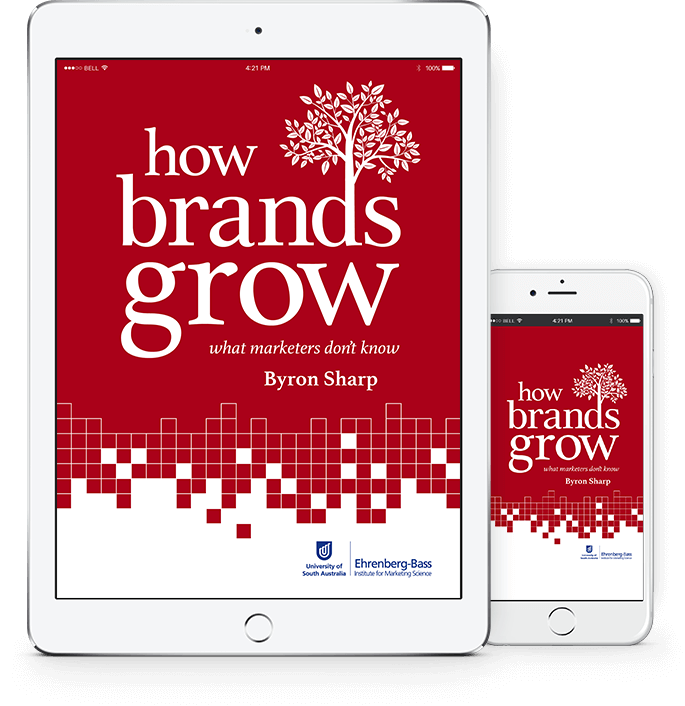 Byron Sharp is a Professor of Marketing Science and Director of the Ehrenberg-Bass Institute – the world’s largest centre for research into marketing. His first book How Brands Grow: what marketers don’t know has been called one of the most influential marketing books of the past decade (Warc, 2015) and was voted marketing book of the year by AdAge readers. In 2015 he published the follow-up How Brands Grow Part 2 with Professor Jenni Romaniuk. He has also written a textbook Marketing: Theory, Evidence, Practice which reflects modern knowledge about marketing and evidence-based thinking. The revised 2nd edition of the textbook was published in 2017. Byron has co-hosted, with Professor Jerry Wind, two conferences at the Wharton Business School on the laws of advertising, and is on the editorial board of five journals. Sharp, B 2010, How Brands Grow, Oxford University Press, Melbourne. Sharp, B 2013, Marketing: Theory, evidence, practice, Oxford University Press, Melbourne. Romaniuk, J and Sharp, B 2015, How Brands Grow:part 2, Oxford University Press. Nelson-Field, K, Sharp, B & Riebe, E 2012, ‘Reach (Still) Reigns’, Viral Marketing: the science of sharing, Oxford University Press, Melbourne, pp. 57-68. Sharp, B & Dawes, J 1996, ‘Is Differentiation Optional? A Critique of Porter’s Generic Strategy Typology’, in Earl, P (ed), Management, Marketing and the Competitive Process, Edward Elgar, London. Beal, V., Romaniuk, J. & Sharp, B., (2017), ‘Television advertising television: measuring the ability of television promos to deliver ratings for new programmes using single-source data.’, International Journal of Advertising, pp. 1-32. Hartnett, N., Kennedy, R., Sharp, B. & Greenacre, L., (2016), ‘Creative that sells: How advertising execution affects sales.’, Journal of Advertising, vol. 45, no.1, pp. 102-12. Danenberg, N., Kennedy, R., Beal, V. & Sharp, B., (2016), ‘Advertising budgeting: A re-investigation of the evidence on brand size and spend.’, Journal of Advertising, vol. 45, no. 1, pp. 139-46. Sharp, B., (2014). ‘The CMO’s legacy.’, Admap. Riebe, E, Wright, M, Stern, P & Sharp, B., (2014), ‘How to grow a brand: Retain or acquire customers?’, Journal of Business Research, vol. 67, no. 5, pp. 990-997. Wind, Y, Sharp, B & Nelson-Field, K., (2013), ‘Empirical Generalizations: New Laws for Digital Marketing’, Journal of Advertising Research, vol. 53, no. 2, pp. 175-180. Nelson-Field, K, Riebe, K & Sharp, B., (2013), ‘More Mutter About Clutter: Extending Empirical Generalizations to Facebook’, Journal of Advertising Research, vol. 53, no. 2, pp. 186-191. Sharp, B, Wright, M, Dawes, J, Driesener, C, Meyer-Waarden, L, Stocchi, L & Stern, P 2012, ‘It’s a Dirichlet World: Modeling individuals’ Loyalties reveals How Brands Compete, Grow, and Decline’, Journal of Advertising Research, vol. 52, no. 2, pp. 203-213. Cohen, J, Lockshin, L & Sharp, B 2012, ‘A better understanding of the structure of a wine market using the attribute of variety’, International Journal of Business and Globalisation, vol. 8, no. 1, pp. 66-80. Nelson-Field, K, Riebe, E & Sharp, B 2012, ‘What’s Not to “Like?”: Can a Facebook Fan Base Give a Brand the Advertising Reach It Needs?’, Journal of Advertising Research, vol. 52, no. 2, pp. 262-269. Sharp, B, Lockshin, L & Cohen, J., (2011), ‘How do Fine Wine Brands Grow?’, 6th Academy of WIne Business Research (AWBR) Conference, Bordeaux, France, 9-10 June. Anderson, K & Sharp, B., (2010), ‘Do growing brands win younger consumers?’, International Journal of Market Research, vol. 52, no. 4, pp. 433-442. Dawes, J, Mundt, K & Sharp, B., (2009), ‘Consideration sets for financial services brands’, Journal of Financial Services Marketing, vol. 14, no. 3, pp. 190-202. Nenycz-Thiel, M, Sharp, B, Dawes, J & Romaniuk, J., (2009), ‘Competition for memory retrieval between private label and national brands’, Journal of Business Research, vol. 63, no. 1, pp. 1142-1147. Newstead, K, Taylor, J, Kennedy, R & Sharp, B., (2009), ‘The long-term sales effects of advertising: lessons from single source’, Journal of Advertising Research, vol. 49, no. 2, pp. 207-210. Sharp, B & Wind, J., (2009), ‘Today’s advertising laws: will they survive the digital revolution?’, Journal of Advertising Research, vol. 49, no. 2, pp. 120-126. Taylor, J, Kennedy, R & Sharp, B., (2009), ‘Making generalizations about advertising’s convex sales response function: is once really enough?’, Journal of Advertising Research, vol. 49, no. 2, pp. 198-200. Wind, J & Sharp, B., (2009), ‘Advertising empirical generalizations: implications for research and action’, Journal of Advertising Research, vol. 49, no. 2, pp. 246-252. Romaniuk, J & Sharp, B., (2008), Where knowledge of your brand resides: the pareto share of brand knowledge, Ehrenberg-Bass Institute for Marketing Science, Adelaide. Mundt, K, Dawes, J & Sharp, B., (2006), ‘Can a brand outperform competitors on cross-category loyalty? An examination of cross-selling metrics in two financial services markets’, Journal of Consumer Marketing, vol. 23, no. 7, pp. 465-469. Corkindale, D, McDonald, H & Sharp, B., (2003), ‘A critical appraisal of the accepted theory of the Diffusion of Innovations’, Special Edition on High Technology Marketing, vol. 11, no. 4, pp. 84-95. Romaniuk, J & Sharp, B., (2003), ‘Measuring brand perceptions: Testing quantity and quality’, Journal of Targeting, Measurement and Analysis for Marketing, vol. 11, no. 3, pp. 218-229. Wright, M, Sharp, A & Sharp, B., (2002), ‘Market Statistics for the Dirichlet Model: Using the Juster Scale to Replace Panel Data’, International Journal of Research in Marketing, vol. 19, no. 1, pp. 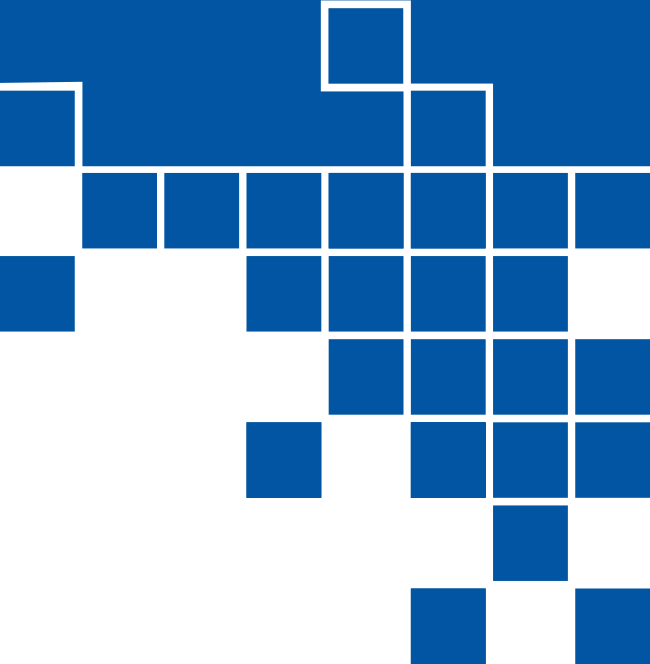 81 – 90. Sharp, B & Dawes, JG., (2001), ‘What is Differentiation and How Does it Work?’, Journal of Marketing Management, vol. 17, pp. 739-759. Dawes, J & Sharp, B., (2000), ‘The Reliability and Validity of Objective Measures of Customer Service: “Mystery Shopping”‘, Australasian Journal of Market Research, vol. 8, no. 1, pp. 29-46. Ehrenberg, ASC, Barnard, NR & Sharp, B., (2000), ‘Decision Models or Descriptive Models?’, International Journal of Research in Marketing, vol. 17, no. 2-3, September, pp. 147-158. Kennedy, R, Sharp, B & Rungie, C., (2000), ‘How Ad Liking (LA) Relates to Branding & the Implications for Advertising Testing’, Australasian Journal of Market Research, vol. 8, no. 2, pp. 9-19. Romaniuk, J & Sharp, B., (2000), ‘Using Known Patterns in Image Data to Determine Brand Positioning’, International Journal of Market Research, vol. 42, no. 2, pp. 219-230. Maio Mackay, M, Romaniuk, J & Sharp, B., (1998), ‘A Classification of Brand Equity Research Endeavours’, Journal of Brand Management, vol. 5, no. 6, pp. 415-429. Riquier, C, Kennedy, R & Sharp., (1998), ‘Behaviours Versus Demographics as Identifiers of CHAID Splits: Implications for Segment Formation’, Journal of Segmentation in Marketing, vol. 2, no. 1, pp. 111-129. Wright, M, Sharp, A & Sharp, B., (1998), ‘Are Australasian brands different?’, Journal of Brand and Product Management, vol. 7, no. 6, pp. 465-480. Sharp, A & Sharp, B., (1997), ‘Understanding Salesperson Effectiveness: A Comparison of Telemarketing and Face-to-Face Sales Interactions’, Journal of the American Telemarketing Association, vol. 2, no. 1, pp. 22-30. Sharp, B & Sharp, A., (1997), ‘Loyalty Programs and Their Impact on Repeat-Purchase Loyalty Patterns’, International Journal of Research in Marketing, vol. 14, no. 5, pp. 473-486. Riquier, C, Luxton, S & Sharp, B., (1997), ‘Probabilistic Segmentation Modelling’, Journal of the Market Research Society, vol. 39, no. No. 4, October, pp. 571-587. Kennedy, R, Riquier, C & Sharp, B., (1996), ‘Practical Applications of Correspondence Analysis to Categorical Data in Market Research’, Journal of Targeting, Measurement and Analysis for Marketing, vol. 5, no. 1, pp. 56-70. Riquier, C, Luxton, S & Sharp, B., (1996), ‘Probabilistic Segmentation Using CHAID and the Verbal Probability Scale’, New Zealand Journal of Business, vol. 18, no. 2, pp. 27-41. Sharp, B., (1995), ‘Brand Equity and Market-Based Assets of Professional Service Firms’, Journal of Professional Services Marketing, vol. 13, no. 1, pp. 3-13. Sharp, B., (1995), ‘Business Orientations and Corporate Success: A Correspondence Analysis of Wong and Saunders’ Findings’, Journal of Strategic Marketing, vol. 3, no. 3, pp. 205-214. Sharp, B., (1993), ‘Managing Brand Extension’, Journal of Consumer Marketing, vol. 10, no. 3, pp. 11-17. Sharp, B., (1991), ‘Competitive Marketing Strategy: Porter Revisited’, Marketing Intelligence & Planning, vol. 9, no. 1, pp. 4-10. Sharp, B., (1991), ‘Marketing Orientation: More Than Just Customer Focus’, International Marketing Review, vol. 8, pp. 20-25. Livaditis, M, Sharp, A & Sharp, B 2012, ‘Evidence of Naturally Bias Behaviour – Seating Habits at a Lecture’, ANZMAC, Adelaide. Dunn, S, Bogomolova, S & Sharp, B 2010, ‘Nonconscious influence of colour on brand choice’, European Marketing Academy Conference, Copenhagen, 1-4 June. Newstead, K, Riebe, E & Sharp, B 2009, ‘Extreme burst or extreme continuity? findings from an Australian scheduling experiment’, ESOMAR WM3, Stockholm, 5-6 May. Ceber, M, Sharp, B & Kennedy, R 2008, ‘A closer look at TV’s desirable audience: the light TV viewer’, ANZMAC, Sydney, 1-3 December. Nelson-Field, K, Lees, G, Riebe, E & Sharp, B 2007, ‘A multi-year study of how well radio propositions describe their actual listener base with implications for targeting strategy’, ANZMAC, Adelaide. Danenberg, N, Sharp, B & Kennedy, R 2006, ‘Some practical & theoretical difficulties of target marketing’, European Marketing Academy Conference, Athens, 23-26 May. Sharp, B, Driesener, C & Rungie, C 2006, ‘Confirmation of the Dirichlet brand loyalty parameter limits for repertoire categories: 127 replications’, European Marketing Academy Conference, Athens, 23-26 May. Nelson-Field, K, Lees, G, Riebe, E & Sharp, B 2005, ‘How well do radio network marketers portray their own audiences? A study of the differences in radio audience demographics with implications for targeting strategy’, ANZMAC Conference Proceedings, Perth, WA, 5-7 December. Allsopp, J, Sharp, B & Dawes, J 2004, ‘The double jeopardy line- empirical results’, ANZMAC, Wellington, New Zealand. Romaniuk, J, Sharp, B, Paech, S & Driesener, C 2003, ‘Testing an empirical generalisation: the underlying structure of brand (and ad) awareness scores’, ANZMAC, Adelaide, 1-3 December. Sharp, A, Sharp, B & Redford, N 2003, ‘Positioning & Partitioning- A replication & extension’, ANZMAC, Adelaide, 1-3 December. Sharp, B & Allsopp, J 2003, ‘Can big brands expect more of their sales revenue growth to come from loyalty or penetration?’, European Marketing Academy Conference, Glasgow, 20-23 May. Romaniuk, J & Sharp, B 2003, ”Pareto Share’ in Customer Knowledge Based Brand Knowledge’, ANZMAC, Adelaide, 1-3 December. Dawes, J, Riebe, E & Sharp, B 2003, ‘Radio Advertising Effectiveness under High and Low Clutter Formats’, European Marketing Academy Conference, Glasgow, 20-23 May. Kennedy, R & Sharp, B 2002, ‘”Attitude” is not necessary: a look at ad likeability without it’, European Marketing Academy Conference, Portugal, 28-31 May. Romaniuk, J & Sharp, B 2002, ‘The concept of brand salience and implications for measurement’, European Marketing Academy 31st annual conference, Portugal, 28-31 May. Vieceli, J & Sharp, B 2002, ‘Salience Effects on Recall’, British Academy of Management Conference, London. Riebe, E, Dawes, J & Sharp, B 2002, ‘Testing the Relationship Between Radio Advertising Clutter and Recall’, ANZMAC, Melbourne, 2-4 December. Riebe, E, Sharp, B & Stern, P 2002, ‘An Empirical Investigation of Customer Defection & Acquisition Rates for Declining and Growing Pharmaceutical Brands’, ANZMAC, Melbourne, 2-4 December. Sharp, B, Beal, V & Romaniuk, J 2002, ‘Quantifying an Empirical Generalisation: Usage and Advertising Recall in the International Travel Market’, ANZMAC, Melbourne, 2-4 December. Sharp, B, Riebe, E & Dawes, JG 2001, ‘A marketing economy of scale – big brands lose less of their customer base than small brands’, ANZMAC, Auckland, 1-5 December. Tolo, M, Riebe, E & Sharp, B 2001, ‘Explaining Retail Brand Performance – Comparing a Model’s Predictions to Informal Prior Knowledge’, ANZMAC, Auckland, 3-5 December. Page, N & Sharp, B 2000, ‘Objective Measures of Relationship Quality’, European Marketing Academy Conference, Rotterdam, 23-26 May. Romaniuk, J & Sharp, B 2000, ‘Testing the Relationship Between Mention of Competitor Brand and Customer Switching’, European Marketing Academy Conference, Rotterdam, 23-26 May. Sharp, B & Riebe, E 2000, ‘Triple Jeopardy for Store Brands – Disconfirming Evidence’, European Marketing Academy Conference, Rotterdam, 23-26 May. Sharp, B & Wright, M 2000, ‘Do Subscription Markets Show Dirichlet Patterns?’, ANZMAC, Gold Coast, 28 November – 1 December. Wright, M, Sharp, A & Sharp, B 2000, ‘Estimating Dirichlet Market Statistics from Survey Data – A Replication’, ANZMAC, Gold Coast, 28 November – 1 December. Romaniuk, J & Sharp, B 1999, ‘The Relationship Between Corporate/Brand Image and Customer Loyalty’, European Marketing Academy Conference, Berlin, 11-14 May. Sharp, B & Wright, M 1999, ‘There are Two Types of Repeat Purchase Markets’, European Marketing Academy Conference, Berlin, 11-14 May. Sharp, B & Sharp, A 1999, ‘Objective Measures of Relationship-Purchase Loyalty Patterns: A Replication and Extension’, European Marketing Academy Conference, Berlin, 11-14 May. Danenberg, N, Sharp, B & Sharp, A 1998, ‘Will they stay or will they go? Improving predictions of brand loyalty’, MRSA National Conference, Melbourne, 14-16 October. Dawes, J, Faulkner, M & Sharp, B 1998, ‘Business Orientation Scales: Development and Psychometric Assessment’, European Marketing Academy Conference, Stockholm, 20-23 May. Dawes, J & Sharp, B 1998, ‘The Reliability & Validity of Objective Measures of Customer Service’, ANZMAC, Dunedin, 30 November-2 December. Kennedy, R, Rungie, C & Sharp, B 1998, ‘Looking at Ad Effectiveness: How Ad Liking (LA) Relates to Correct Branding’, MRSA National Conference, Melbourne, 14-16 October. Kennedy, R & Sharp, B 1998, ‘Do People Pay More Attention to Likeable Ads? (A preliminary examination of whether ad likeability works via attitude or attention)’, ANZMAC, Dunedin, 30 November -2 December. Page, N & Sharp, B 1998, ‘The Defining Elements of Relationship Quality the Story So Far……’, European Marketing Academy Conference, Stockholm, 20-23 May. Rundle-Thiele, S, Dawes, J & Sharp, B 1998, ‘An Empirical Investigation of the Relationship Between Three Types of Loyalty’, ANZMAC, Dunedin, 30 November-2 December. Rundle-Thiele, S & Sharp, B 1998, ‘Categorising Switching Costs’, ANZMAC, Dunedin, 30 November-2 December. Rungie, C, Page, N, Sharp, B & Castles, T 1998, ‘The Quantitative and Empirical Evaluation of Instruments for the Measurement of Relationship Quality and its Elements’, European Marketing Academy Conference, Stockholm, 20-23 May. Wright, M, Kearns, Z, Sharp, A & Sharp, B 1998, ‘Predicting Repeat-Purchase from a Single Shot Survey’, European Marketing Academy Conference, Stockholm, 20-23 May. Maio Mackay, M, Romaniuk, J & Sharp, B 1997, ‘A Typology of Brand Equity Research’, ANZMAC, Melbourne, 1-3 December. Kennedy, R & Sharp, B 1997, ‘A Test of the Intersubjective Certifiability of an Advertising Model’, European Marketing Academy Conference, Coventry, 20-23 May. Dawes, J, Faulkner, M & Sharp, B 1997, ‘Developing Business Orientation Scales’, ANZMAC, Melbourne, 1-3 December. Cierpicki, S & Sharp, B 1997, ‘Empirical Generalisations in NPD – Australian Practitioner Beliefs and Marketing Science’, ANZMAC, Melbourne, 1-3 December. Page, N & Sharp, B 1997, ‘Relationships in Consumer Markets? A Typology of Transaction Types’, European Marketing Academy Conference, Coventry, 20-23 May. Page, N, Sharp, B & Rungie, C 1997, ‘The Elements of Relationship Quality – A Combined Interpretive, Contemporary Social Science Study’, European Marketing Academy Conference, Coventry, 20-23 May. Romaniuk, J & Sharp, B 1997, ‘Measuring the Accessibility of Brand Association’, ANZMAC, Melbourne, 1-3 December. Sharp, A, Corkindale, D & Sharp, B 1997, ‘Loyalty Programs – A Debate’, ANZMAC, Melbourne, 1-3 December. Sharp, B, Rundle-Thiele, S & Dawes, J 1997, ‘Three Conceptualisations of Loyalty’, ANZMAC, Melbourne, 1-3 December. Sharp, B & Sharp, A 1997, ‘Positioning & Partitioning’, European Marketing Academy Conference, Coventry, 20-23 May. Danenberg, N & Sharp, B 1996, ‘Measuring Loyalty in Subscription Markets Using Probabilistic Estimates of Switching Behaviour’, Martin, AM & Starr, RG, Jr. (eds), ANZMAC, Auckland. Dawes, J & Sharp, B 1996, ‘Toward a Business Orientation Typology’,Riquier, C & Sharp, B (eds), Australian Marketing Educators’ Conference, Adelaide, 7-9 February. Kennedy, R & Sharp, B 1996, ‘A Comparison of Alternate Measures of the Likeability of Commercials’, Australian Marketing Educators’ Conference, Adelaide, 7-9 February. Kennedy, R & Sharp, B 1996, ‘Testing the Intersubjective Certifiability of the Rossiter and Percy Grid of How Advertising Works’, Martin, AM & Starr, RG, Jr. (eds), Australia New Zealand Marketing Educators Conference, Auckland. Page, N, Sharp, B & Harris, C 1996, ‘Relationship Quality Leads to Loyalty’, Australian Marketing Educators’ Conference, Adelaide, 7-9 February. Riquier, C, Hockley, N & Sharp, B 1996, ‘Usage Bias in Image Measurement’, Martin, AM & Starr, RG, Jr. (eds), Australia New Zealand Marketing Educators Conference, Auckland. Sharp, B & Dawes, J 1996, ‘Measuring Differentiation’, Martin, AM & Starr, RG, Jr. (eds), Australia New Zealand Marketing Educators Conference, Auckland, 25-27 November. Sharp, B & Dawes, J 1996, ‘What is differentiation and How does it work?’,Martin, AM & Starr, RG, Jr. (eds), Australia New Zealand Marketing Educators Conference, Auckland. Dawes, J & Sharp, B 1995, ‘Generic Marketing Strategies: A Correspondence Analysis of Hooley Et Als’ (1992) Findings’,Grant, K & Walker, I (eds), Academy of Marketing Science World Marketing Congress, Melbourne, 6-10 July. Kennedy, R, Riquier, C & Sharp, B 1995, ‘The likeability of commercials with the branding effect removed – The COMMAP MODEL tested’, European Marketing Academy Conference Paris. Kennedy, R, Riquier, C & Sharp, B 1995, ‘Putting Correspondence Analysis to Use with Categorical Data in Market Research’,Grant, K & Walker, I (eds), Academy of Marketing Science World Marketing Congress, Melbourne, 6-10 July. Kennedy, R, Riquier, C, Sharp, B & Corkindale, D 1995, ‘Current Theories of How Advertising Works Reviewed’, INFORMS Marketing Science Conference, Sydney. Macdonald, E & Sharp, B 1995, ‘Brand Awareness Effects on Decision-Making Time for a Commonly Purchased Product’, INFORMS Marketing Science Conference, Sydney. Macdonald, E, Vieceli, J & Sharp, B 1995, ‘Double Jeopardy Effects on Cognitive Processes: Breadth and Depth of Awareness’,Grant, K & Walker, I (eds), Academy of Marketing Science World Marketing Congress, Melbourne, 6-10 July. Page, N & Sharp, B 1995, ‘Relationship Quality in Marketing Relationships from an Interpretivist Perspective’, INFORMS Marketing Science Conference, Sydney. Vieceli, J & Sharp, B 1995, ‘A Test of the Inhibiting Effect of Heightened Brand Salience on Recall’, INFORMS Marketing Science Conference, Sydney. Dawes, J & Sharp, B 1994, ‘A Review of Strategy Typologies’,Sharp, B (ed), Australian Marketing Conference, Adelaide. Kennedy, R & Sharp, B 1994, ‘The Likeability of Commercials’, Sharp, B (ed), Australian Marketing Conference, Adelaide. Macdonald, E & Sharp, B 1994, ‘The Importance of Brand Awareness: Marketing Theory Versus Management Perceptions’,Sharp, B (ed), Australian Marketing Conference, Adelaide. Riquier, C & Sharp, B 1994, ‘A Multidimensional Scaling Device for the Measurement of Advertising Effectiveness’,Sharp, B (ed), Australian Marketing Conference, Adelaide. Sharp, B 1994, ‘Strategic Orientation and Corporate Success: A Reanalysis’,Sharp, B (ed), Australian Marketing Conference, Adelaide. Sharp, B & Dawes, J 1994, ‘Does Competitive Strategy Demand Differentiation? A Review of the Deficiencies of Porter’s Competitive Strategy Typology’, ANZMAC, Wellington, 7-10 December. Sharp, B, McDonald, H & Corkindale, D 1994, ‘The Accepted View of the Diffusion of Innovations and Why It Is Inadequate’,Sharp, B (ed), Australian Marketing Conference, Adelaide. Sharp, B, McDonald, H & Corkindale, D 1994, ‘The Utility-Awareness Theory of the Diffusion of Innovations’,Sharp, B (ed), Australian Marketing Conference, Adelaide. Sharp, B & Vieceli, J 1994, ‘Brand Equity in Student Job Choice Decisions – A Conjoint Choice Modelling Experiment’, ANZMAC, Wellington. Vieceli, J & Sharp, B 1994, ‘External validity in conjoint choice modelling: fast moving consumer goods versus durables’, Sharp, B (ed), Australian Marketing Conference, Adelaide. Sharp, B 2014, ‘When Seeing Isn’t Seeing’, Admap, January. Sharp, B 2014, ‘Is Facebook better than TV?’, Admap, February. Sharp, B 2014, ‘Sales don’t equal effectiveness’, Admap, March. Sharp, B 2014, ‘Target new, not loyal customers’, Admap, April. Sharp, B 2014, ‘Point of View: The power of branding’, Admap, June. Sharp, B 2014, ‘The CMO’s legacy’, Admap, July/August. Sharp, B 2013, ‘Point of View: Consumers don’t fit into neat boxes’, Admap, April. Sharp, B 2013, ‘Hook ’em while they’re young’, Admap, May. Sharp, B 2013, ‘Buffeting loyalties with advertising’, Admap, June. Sharp, B 2013, ‘Brand loyalty’s universal truths’, Admap, July-August. Sharp, B 2013, ‘Small Media Are Different’, Admap, September. Sharp, B 2013, ‘Mobile Madness’, Admap, October. Sharp, B 2013, ‘Brand-Washed’, Admap, November. Sharp, B 2013, ‘Serendipitous Wobble’, Admap, December.